Hey everyone, Joan AND Tanya here! We are pretty excited to finally have a blog post together! 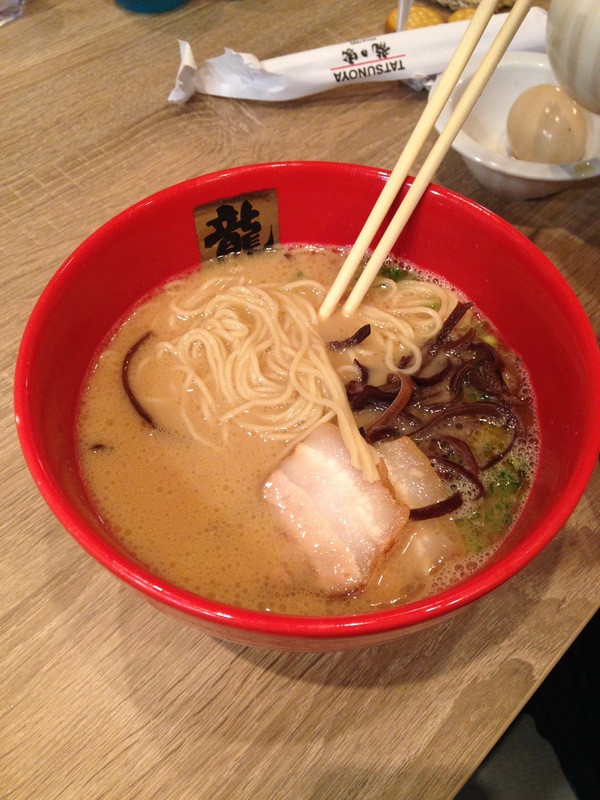 Tanya- I ordered Koku Tonkotsu.I honestly had to say I was disappointed. Maybe it was because I had expectations that were too high or maybe they made the broth in a rush because of the line out the door, I don’t know. When it came to the break down of everything. the chashu was pretty fatty but it was tasty, the noodles were probably my favorite thing. They were just tender enough to my taste. When it came to the broth, it was salty. It kind of shocked me at the beginning, then it seemed it was ok but at the very end the salt hit me again. Side note: I think the thing that irritated me the most was the rushed service. I know they are probably trained to push people out as soon as possible but I wish they cared more of how we were doing more than getting our order and passing the check to our table. I remember wanting for water and kind of catching eye contact with one waitress and instead she came over with the check saying “I had a bit of free time so here *drops the check at the table*” another waitress tried to collect but my husband ordered something else and gave us a dirty look. I think it just irritated me more because I did drive out an hour with my family to try this ramen. This place if far from family friendly. You NEED extremely patient kids that don’t need a high chair. 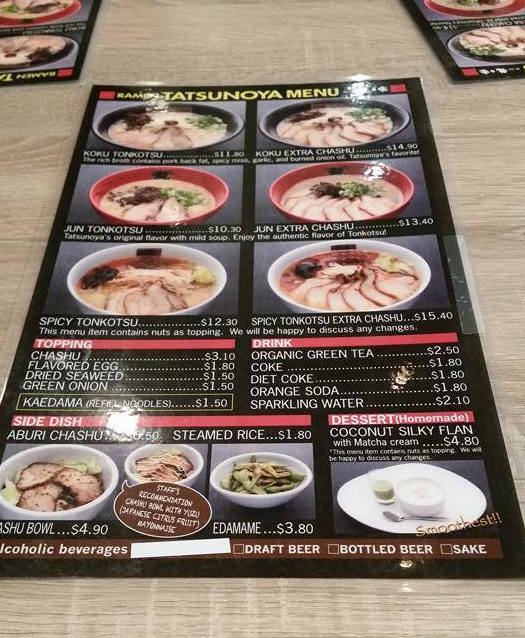 The menu does not have a selection for kids so you’ll have to buy them their own bowl or share yours if your child(ren) do(es) not have a large appetite. 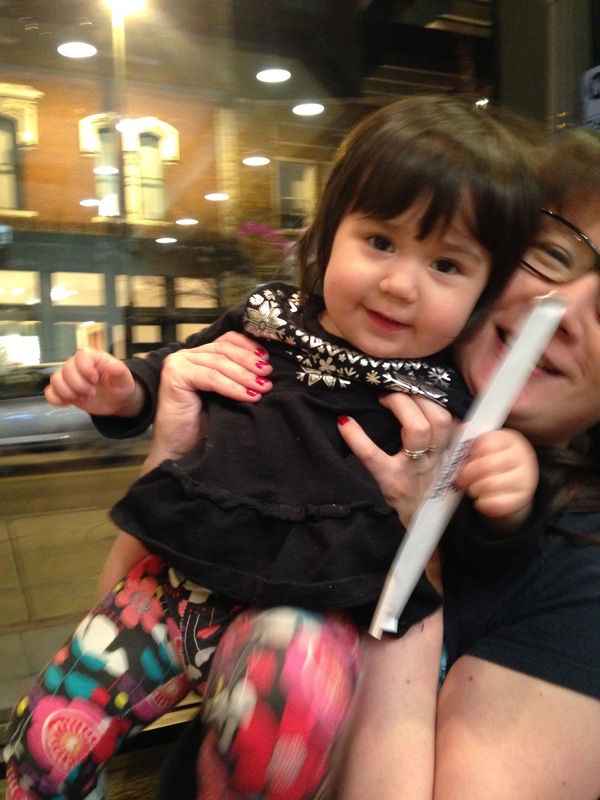 I have a more critical opinion now that I have a family and I’m not just thinking about me. 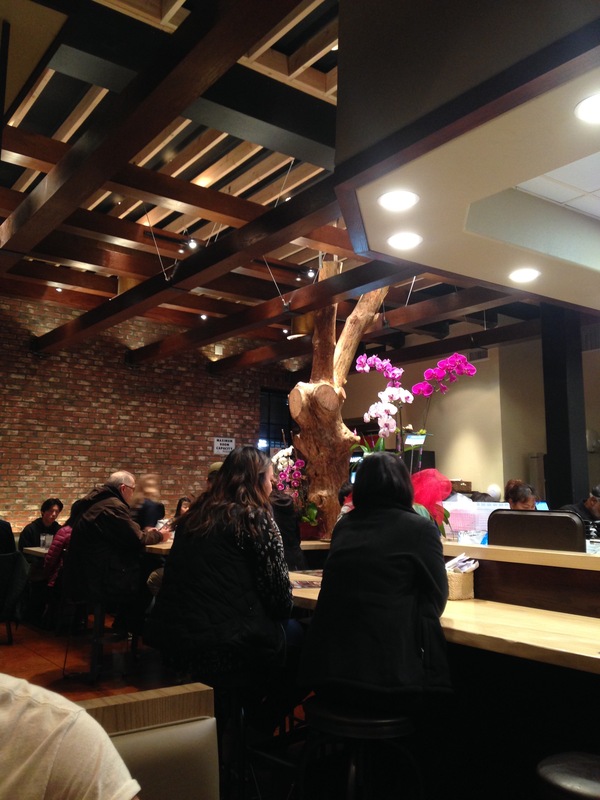 This place is best for a date or out with one or two friends. Tanya: My husband and I ordered the same ramen. I did order a flavored and side of rice for Netty to try and improvise a meal for her. 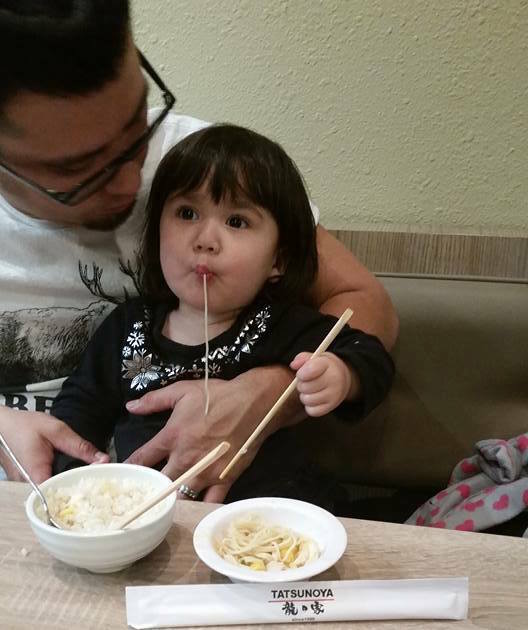 She did have some ramen and I have to say her noodle slurping capabilities are pretty awesome (proud ramen mommy moment). Tanya: I usually don’t bring toys with me for Netty anymore because she is in a throwing phase and I fear her losing toys all over town. 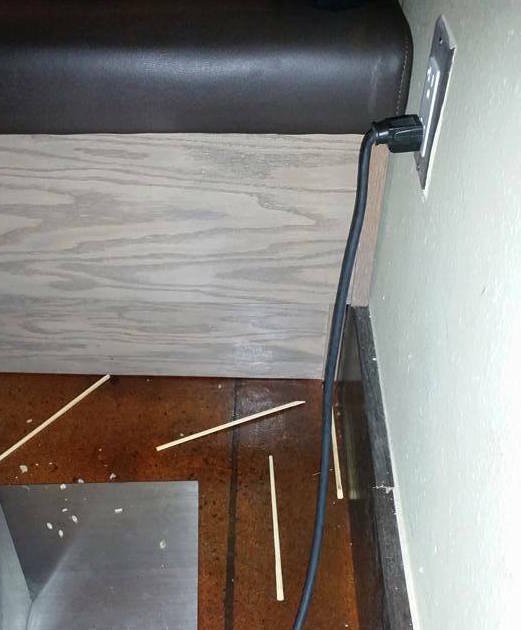 She just ended up playing and throwing chopsticks everywhere when she wasn’t trying to pull the wires of the cash register that was behind our booth. Anyway, I ordered the Spicy Tonkotsu Ramen. 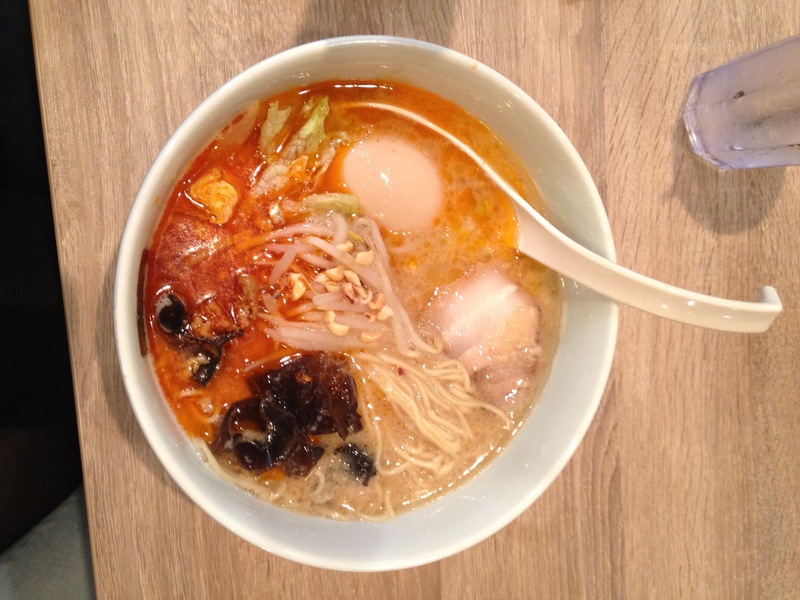 The broth had back fat and a mild spiciness with enough kick that made me sweat. It also had some peanuts, which was new for me, and ground pork. The broth was flavorful. The chashu had a lot of fat though and they only gave you two tiny pieces. The noodles were al dente. Overall, it was a good bowl of ramen. 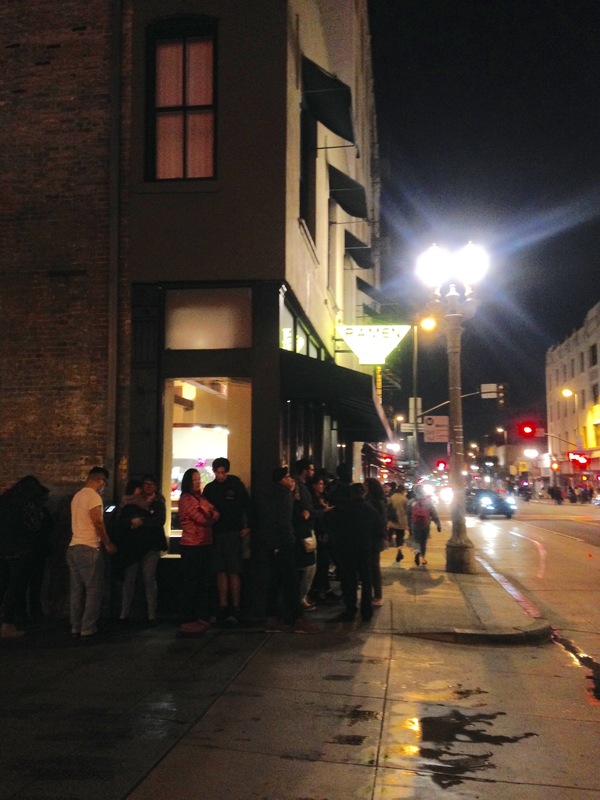 But it’s not memorable enough, nor did it make me want to cry, for me to go back there and wait in that line. Tanya: I love downtown Pasadena (except for driving through it haha). There are plenty dessert places hidden everywhere. Surprisingly a few Poke Bowl places too. 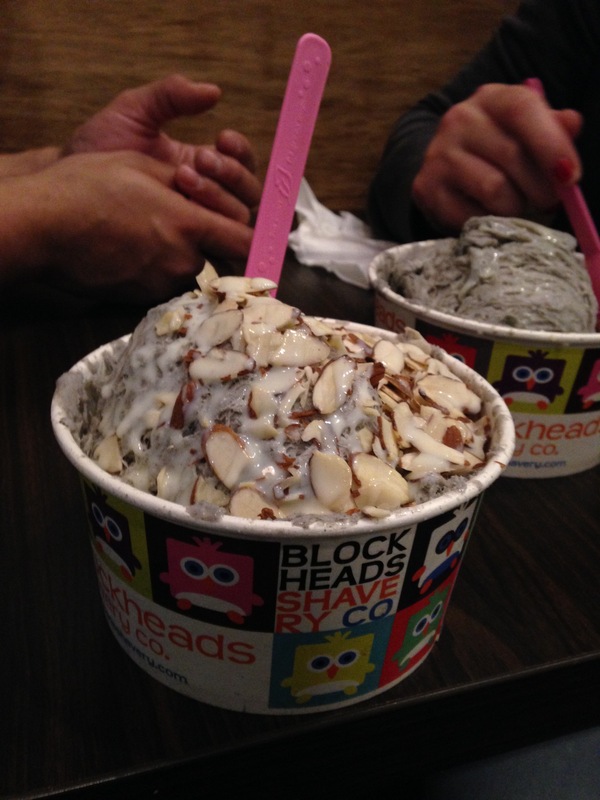 I was so excited for Blockheads because it had been so long since I had their shaved ice. Joan: You can never go wrong with Blockheads. If you like milky shave ice, this is where to go! It was a nice way to end the night. 16 N Fair Oaks Ave.
Get there early. Parking is found in the structures nearby. This entry was posted in Ramen. Bookmark the permalink.